With more than 2,200 stores worldwide, Zara is one of the leading international fashion brands. Its business model is very simple: it sets out to react to the latest fashion trends and offer the customer freedom and comfort. The collections are renewed twice a week. 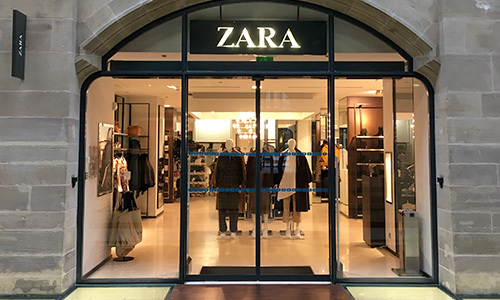 The architecture and design of your Zara retail space in Strasbourg serve to create an elegant and unique environment with its own identity. Every day, Zara interprets and adapts new fashion trends and shares them with millions of people. Come and discover our women's, men's and children's ready-to-wear collections in your Zara store at the Aubette Shopping Arcade in Strasbourg (67).